Is your Mercedes-Benz due for service? Before getting a repair done, you’ll need to decide between genuine OEM parts vs. aftermarket parts. While aftermarket parts are usually less expensive, there are many benefits to choosing genuine Mercedes-Benz parts. For one, OEM parts result in a repair that’s longer lasting and of higher quality. Learn more about the benefits of choosing OEM parts below. Mercedes-Benz OEM parts are the same parts that are used by Mercedes-Benz engineers at the factory. Therefore, when you choose genuine Mercedes-Benz parts you are guaranteed high-quality parts made specifically for your model. Genuine Mercedes-Benz parts are backed by a generous Mercedes-Benz Parts Limited Warranty. The warranty is a 12-month/unlimited-mile warranty, so you’ll have additional peace of mind when driving down Ancaster roads. Finding the right OEM part is usually less of a hassle than when searching for a specific aftermarket part. This is because aftermarket parts are offered in an endless number of variations, so you’ll have to search through countless options to find what you’re looking for. OEM parts, on the other hand, are easy to find by searching through our catalog, ordering parts online, or by simply calling us! While the parts listed above are popular choices among Ancaster drivers, there are many more options available! Contact our team to learn more about the other performance parts that we offer. 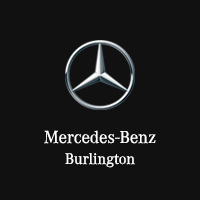 If you’re in need of a repair, schedule an appointment online, then visit Mercedes-Benz Burlington’s service center. We’re conveniently located near Dundas and Brantford!